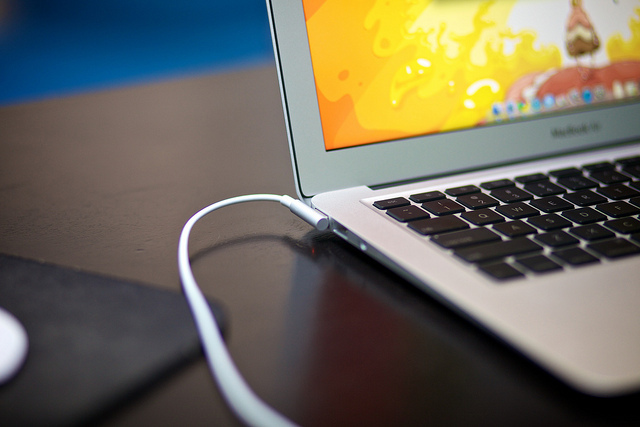 Where can you buy a cheap Acer Aspire laptop charger? This was my major concern recently. I was not able to blog last June primarily because …. Let me tell you a bit of both in this post. New Part-Time Work – Yay! Last June 1, I started a new part-time work. I was actually surprised to be contacted via LinkedIn by a local company about two months ago. They were looking for writers and they found my profile on LinkedIn. I never really thought that it was gonna be a real deal. After a face-to-face meeting, I was hired as a writer. It’s still a work I get to do at home with just 2 or 3 face-to-face meetings per month. This is a good set-up for me as I do not want to commute to work everyday. Aside from that gig, I still have some online work to do. So, I had my plate full last month. The kids were still on vacation until mid-June, so I still needed to look after them a bit. Ate Kristel was a big help to me. I’m so glad she was able to cover their books and notebooks and prepare the materials they needed for school. With the volume of work I had to deal with, it was very untimely that my Acer Aspire 4752 laptop charger broke. I was hoping to find a replacement on Lazada, but I was hesitant to buy because of compatibility issues. I went to an Acer service center near our place, but they had no available unit at the time. Later, I was informed that the replacement charger would cost P2,500 and I had to wait 2 or 3 weeks to get it. I did not order the battery charger from them because I thought it was very expensive. For the meantime, I used by husband’s Macbook to write the articles. But, unfortunately, his charger or his unit failed to charge also. My last resort was to use my kids’ notebook. My only problem with the unit is it was very slow. I can’t believe that all our computers are so unreliable at this very desperate time. My husband and I decided that we will now buy a new desktop. We had one but it broke in 2012 because of a power surge during a thunderstorm. We were not able to get it fixed. My husband asked around where is the best place to buy a new desktop – somewhere that offers many options at an affordable price. A friend at church suggested going to Gilmore Street (intersecting Aurora Boulevard, Cubao, Quezon City). He says that there are many shops selling computer and accessories there. My husband asked an I.T. friend to go with him to Gilmore to find a good desktop. He also brought my laptop and charger to look for a battery charger as well. They were out for maybe 4 or 5 hours. Maybe it’s because of the traffic. I, including my children, were looking forward to having a new desktop. But when hubby came home, there was no desktop. All he showed me was a paper with the details of a computer desktop unit with good specifications. I think he liked the P25,000 desktop unit. But the good news is he found my Acer laptop a new battery charger. It only costs P700. He also had my laptop cleaned for P500. He said it was really dusty inside and the built-in fan is not working. That may be the reason why sometimes my computer suddenly shuts down. Anyway, now the fan is working. Below is a video on how to clean a laptop to remind and teach me how to clean my laptop properly. Another bonus is he bought my laptop a new keypad. You see, the letter O has been missing for more than a year now. I just used the copy-paste function and the virtual keyboard whenever I wrote articles. I wanted to have the keyboard replaced before at SM Megamall Cyberzone, but I backed out because the computer shop there is charging me P2,500 for it. I was thinking of just buying the replacement keyboard on Lazada for P1000+ and installing it on my own, but did not have a chance to do it. It’s a good thing I did not get it fixed yet because the computer shop at Gilmore replaced my keyboard for just P900. Got the Windows 10 Upgrade for Free – Finally! So, now I have an Acer Aspire laptop that looks like new. To top that, I finally got the free Windows 10 upgrade from Windows 7 to work. I’ve been trying to upgrade since last year but the process always fails. Last week, I was reminded to try it again and it worked. After the upgrade, I thought that I lost all my files. I almost panicked. The Windows Upgrade Assistant said that all my files will be where they are after the upgrade, but then they were all gone when I opened my computer. I browsed through all the files and later on found them. Then, when I shut down my computer, there was a final update and when I opened my computer, lo and behold, all my files are back where they are supposed to be. Great! Now, I can continue doing my thing more efficiently. 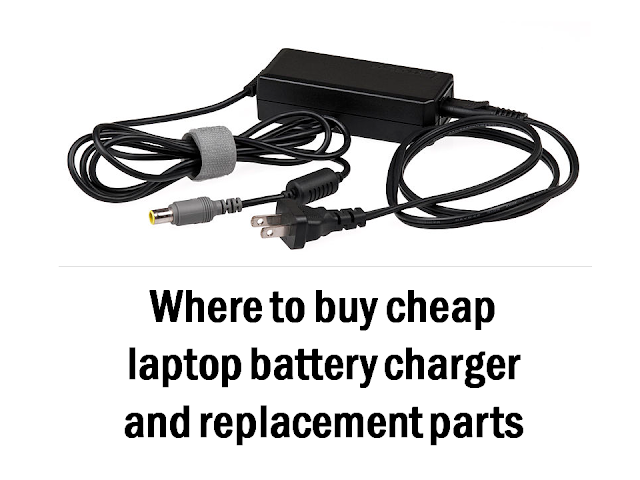 Do you know any other place where to buy computer replacement parts, like battery chargers, keyboards, LCD screens, etc? Please share your information in the comments below to help fellow readers shop for affordable computer/laptop replacement parts. I remember when my laptop screen was broken, I bought a LCD monitor so I can have a screen. When my laptop keyboard stopped working, I bought a keyboard and attached it in my laptop. hehehe! I dont like to repair my laptop kasi yung files natatakot ko malost or makuha. But I only buy at nearest mall, Gilmore is far. Btw, I also have cooling fan (Cooler Master) for my laptop, so far tumagal na ng 3 years laptop ko, before 2 years lang lifespan, overheat and madumi din siguro. Yay for a complete keyboard! Stressful talaga kahit isang key lang ang nawawala, nakakasira ng bait ahaha. Hi Mav. I actually had a painful bone and ugat/vein in my left pointer finger dahil sa kaka ctrl-v. But its not there anymore since I used a complete keyboard. Congrats on your new part-time job! I get a lot of offers through LinkedIn. Anyway, thanks for sharing about Gilmore. My laptop actually needs a new battery. Will tell my hubby to go with me there. My husband and I always go to Gilmore for computer/gadgets related problems because everything is cheaper there. I also had a problem with my laptop before but when my husband brought it at Gilmore, he came home with my laptop functioning perfectly again. Btw, congrats on your new online gig! Thats great to know about Gilmore, Mayen. Its good that Gilmore is not really far from our place. My first laptop is from Acer and it served me well for 3 years. It suddenly turned into a blue screen and brought a new laptop instead from Lenovo this time. Havent been to Gilmore but I heard from my friends that it is really the best place to buy computer parts for a good price. Congrats on your new job sis! Now, I have an idea for optionally using my laptop just in case I have problems with the LCD or keyboard. Thanks. Congrats to your new gig and I hope your charger now is okay. I also believe that anything computer-related can be found at Gilmore. They have very affordable laptops, computers and accessories there. Congratulation on your new raket! Gilmore is also our go to place whenever we needed pc parts before in our internet cafe. It is a good thing we discovered the place. Di kasi namin alam since matagal kami sa Saudi nakatira.